Xihu Longjing Tea, a famous kind of green tea in China, grows in the mountains around the Xihu Lake (West Lake) of Hangzhou, Zhejiang Province, including areas like Lion Mount, Longjing Mount, the Wuyun Mountain and Hupao. 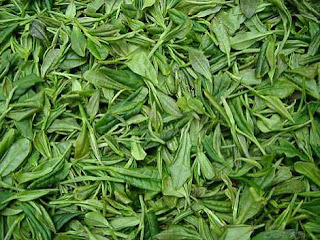 Depending on the differences of producing areas’ partial ecological environments and producing technologies, Xihu Longjing Tea can be classified into three kinds, “Lion Mount Longjing”, “Meiwu Longjing” and “Xihu Longjing”, among which, the first one produced in Lion Mount is best in quality. Xihu Longjing Tea is flat and smooth in shape, with green and yellow color and luster. When making tea, pouring boiled water of about 80 degree celsius into the cup, and then tea buds will slowly roll up, like lotuses floating from the water. The tea liquor is dark green and smells sweet and mellow. Xihu Longjing Tea is well-known around the world due to four wonders, namely, “green color, sweet smell, mellow taste and beautiful shape”. It is very complex to produce Xihu Longjing Tea. Elaborate techniques are adopted during plucking and processing to ensure excellent quality. Longjing is not only the name of tea, but is also the name of a temple and a spring. Since the water of the Longjing Spring, which is located at the northwest foot of Wenjia Mountain west of the West Lake, is clear and sweet, the Longjing Temple was built, and monks planted tea trees there, and then Longjing Tea came into being. 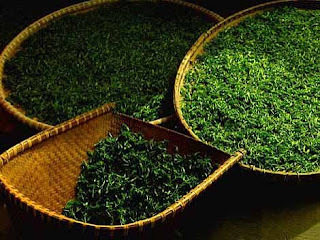 The history of Xihu Longjing Tea may earliest date from the Tang Dynasty, during which period, the famous sage of tea Lu Yu wrote the Tea Classics, first book on tea in the world, in which that tea is produced in Xihu Lake of Hangzhou was recorded.